This vegan leather wallet features in inset classic NYC subway token. Whether you take the A train every day or like carrying a piece of NYC close, this wallet is a nostalgic travel companion. The slim, vegan leather card case and money clip features an authentic, dime-sized, Y-cut New York transit token circulated from in the 1950s. 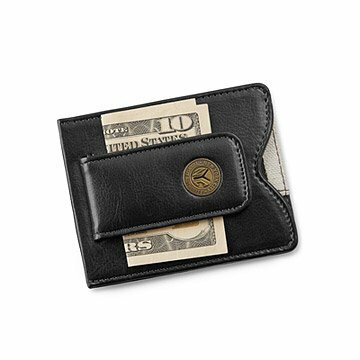 The lightweight wallet has two card slots on the back, an inner pocket, and a magnetic money clip on the front to keep your cash handy. A metal plate sewn into the wallet protects cards' magnetic strips, while the back sports a section of the original canvas bags used to collect and transport the tokens. Each one comes gift-boxed with a Certificate of Authenticity. Officially licensed by the MTA. Made in India.